JACKSONVILLE, FL - SEPT 3, 2017 - MXGP HITS THE STATES! 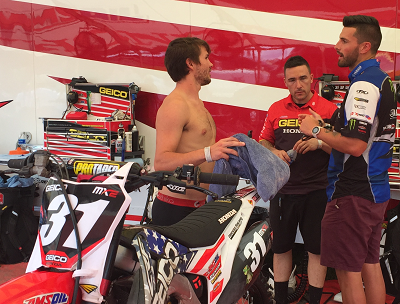 The late summer Florida heat played a big part in making the MXGP at the WW Motorsports Park a tough race. RJ Hampshire has raced in florida so he knew what to expect. He got two great starts which helped in going 1-1 for the day. Below he discusses strategy for the second moto. Eli Tomac also benefitted from good starts. 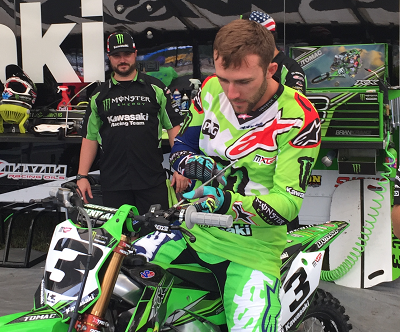 Here he makes a last minute adjustment before going out to win the first moto.